Check out a CNN Money photo gallery featuring some of my work from the Occupy Wall Street march to Union Square on Sept. 24. Also, check out the NY Times’ TimesCast from Sept. 26, which uses footage I shot during its Occupy Wall Street segment. And lastly, a link to my YouTube channel which has all of the Occupy Wall Street video I’ve shot thus far. 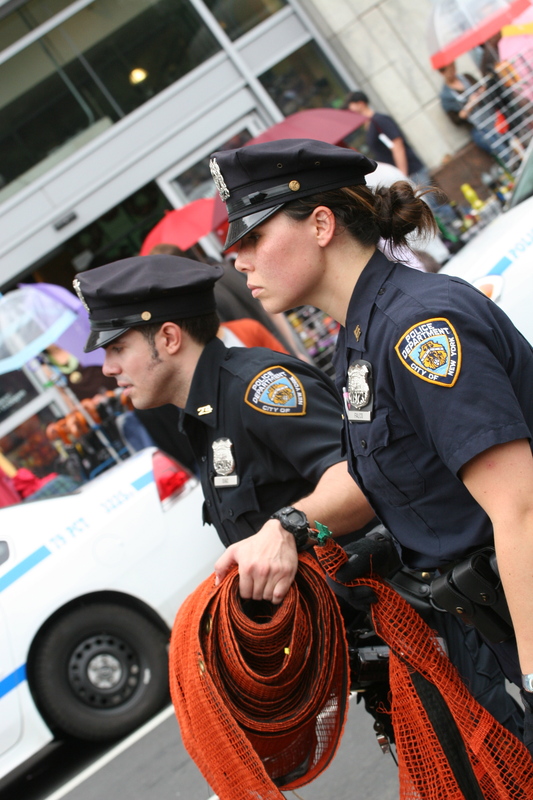 Police officers rolled out orange nets used to cordon protestors during the march to Union Square on Sept. 24. Staff writer for the Manhattan weeklies Our Town, Our Town Downtown and the West Side Spirit.